Los Angeles is home to some of the busiest interstate highways, freeways and streets in the United States. The nature of the number of vehicles and the “start and stop” patterns of traffic lead to a high number of Los Angeles car accidents resulting in injury each day. Seek immediate medical treatment for your injuries. If you refuse transport from the scene of the accident it is important to go to an urgent care facility, emergency room or even your own primary care physician within 24 hours of the accident. After more than 40 years of experience I can tell you that many injuries can take days or weeks to fully present symptoms. The forces involved in a car crash damage connective tissues, muscles, discs in your neck and back and even internal organs. If you do not seek medical attention you will cause irreparable harm to the ability to seek reimbursement for your injuries and associated treatment and other expenses down the road. The insurance company does not have your best interests at heart. The majority of settlement offers from insurance companies are far lower than are justified by the facts of the case. The primary motivation of an insurance company is to reduce pay-outs and increase their own profitability. Insurance adjusters for car accidents in Los Angeles are highly trained, skilled negotiators. They often attempt to seem friendly and may actually try to convince you not to hire an attorney. This is never in your best interests. Not All Injury Attorneys are the Same. 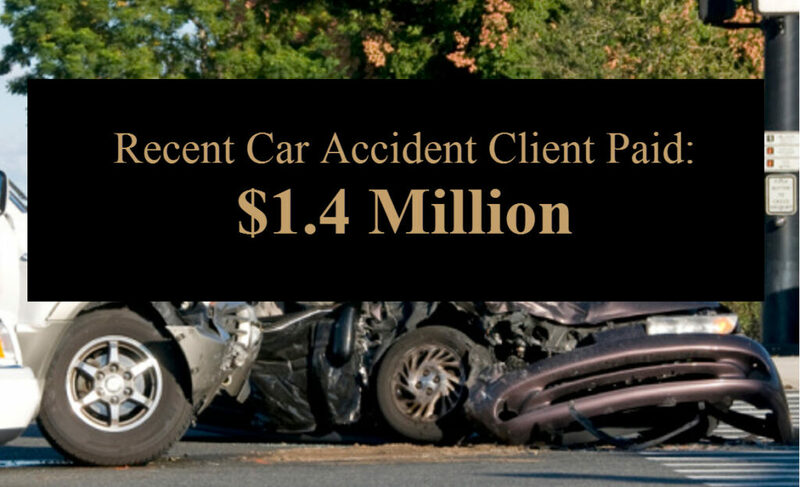 There is a substantial difference between most injury attorneys in Los Angeles car accidents resulting in injuries. Look for an attorney with decades of experience, extensive trial experience including successful verdicts and substantial recommendations from clients, peers and the legal industry. Insurance companies keep track of each injury attorney, and they know the track record of every lawyer. If they have not taken several cases to a verdict the insurance company knows they will settle your case for far less than it is worth. This video may help to shed more light on the subject. My name is Rivers Morrell, and after more than 40 years of experience as an injury attorney here in Los Angeles, Orange County, Riverside and Southern California I can tell you that the quality of your attorney will make a substantial difference in your case. This is especially true in fatal car accidents and when serious injuries are present. It is also important in hit and run cases when injuries occur. Los Angeles car accidents often result in serious head injuries including closed head trauma and traumatic brain injuries. Even if the crash resulted in a concussion, the victim and their family will quite often notice subtle changes in personality that advance over time. It may become more difficult to process multiple things at once, or even to handle what used to be quite simple like a trip to the store. Fractures to the neck, spine or pelvis can result in permanent injuries including paralysis. In these cases it may be necessary to create a “Life Care Plan” that provides for modifications to the accident victim’s home and vehicles. In-home treatment may be required, and expert analysis helps to assess the impact of lost income opportunities and expenses associated with care and treatment in the months and years to come. If you or someone you love has been injured in Los Angeles car accidents I invite you to contact us, or call (949) 305-1400 for a free consultation. There is no cost to you out of pocket, we work on a contingency fee basis. If you are seriously injured we will come to you. I invite you to review the recommendations of our clients, and the recognition of Super Lawyers, ABOTA, Multi-Million Dollar Advocates and other members of the legal industry. If you are looking for a skilled, experienced and responsive attorney who can protect your interests and achieve the best possible outcome in your case I ask you to consider the Law Firm of Rivers J. Morrell III.